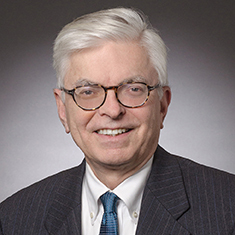 Alex Deland is special counsel to the firm's Government and Public Finance group. He has concentrated his practice for many years in the federal tax aspects of municipal bonds. In conjunction with the Government and Public Finance group's work as bond counsel, underwriter's counsel, borrower's counsel and credit enhancer's counsel, Alex has provided tax advice and opinions on a wide range of government purpose and private activity bonds, including water revenue bonds, sewer and waste water bonds, public power bonds, affordable housing revenue bonds, general obligations bonds, special district financings, qualified 501(c)(3) bonds for health care and educational facilities, and bonds issued for solid waste disposal facilities and transportation facilities. He has served state and local issuers as bond tax counsel with respect to bonds issued for "80-20" residential rental housing facilities, elderly housing projects and homeless housing projects. He has worked on municipal water authority bond issues and water utility private activity bonds, as well as provided tax work in connection with revenue anticipation note financings, assessment bonds and toll bridge system revenue bonds. Alex's experience covers the spectrum of municipal finance structures and products, such as taxable/tax-exempt project revenue credits, pooled loan financings, tax-exempt bonds issued in conjunction with commercial mortgage pass-through certificates, FHA-insured mortgage revenue bonds, tax credit bonds, direct pay subsidy bonds, forwards, interest rate swaps and other derivatives. On behalf of clients, Alex has obtained letter rulings from the Internal Revenue Service for prospective bond issues. He has represented issuers involved in IRS bond audits and assisted issuers with post-issuance remedial actions, including obtaining relief under the IRS Voluntary Closing Agreement Program. Alex is a member of the National Association of Bond Lawyers and has served as a panelist at the Association's Bond Attorney's Workshop and as a faculty member at the Association's Tax and Securities Law Institute.